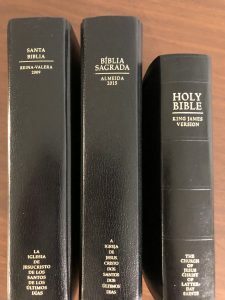 The Latter-day Saint edition of the Holy Bible is published in 3 languages. All languages are available in print. Other formats are indicated in parentheses.